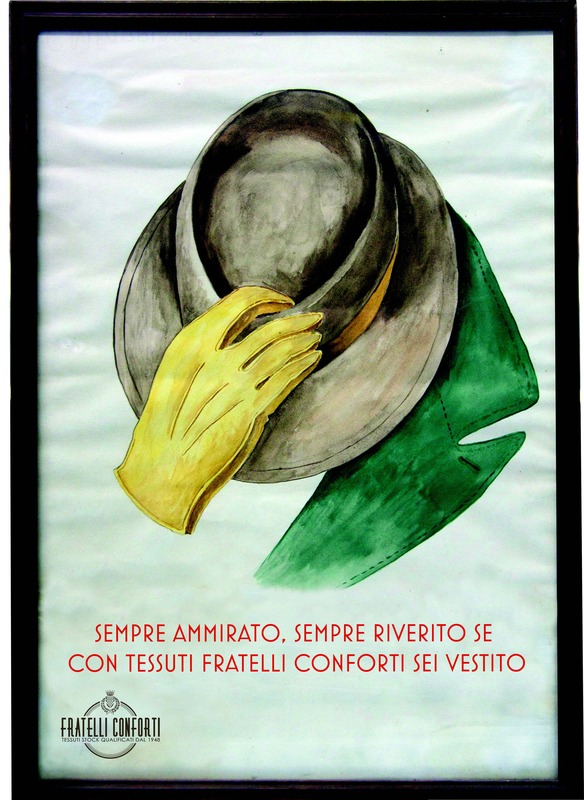 “Sempre ammirato, sempre riverito se con tessuti Fratelli Conforti sei vestito…” (Always respected, always admired with Fratelli Conforti fabrics as your attire…). It was with this slogan that Fratelli Conforti was born in 1948, founded by the grandfather of today’s owners, Alvaro Conforti. It was right after the war and Italy needed to get back on its feet. 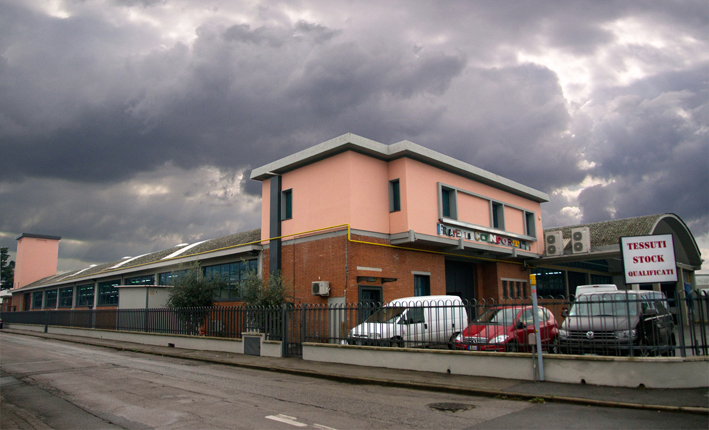 The city of Prato, still today the most important textile production centre in Europe, was bustling with activity with scores of new factories opening and receiving orders for fabrics from all over the world. This was the scenario when Alvaro’s dream took shape. With little money in his pocket but with great hopes and enterprise, he rented a deconsecrated thirteenth-century church in downtown Prato that had been frescoed by a student of Giotto, and transformed it into a wholesale fabrics warehouse. Whether for his business savvy or for “the grace of God”, business started going right. 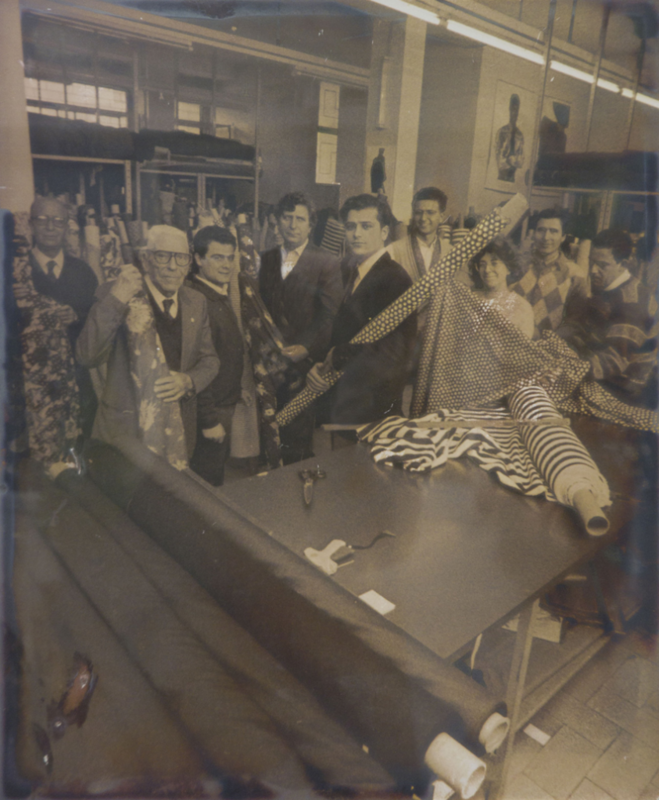 In 1955, his sons Mario, with a freshly earned degree in Law, and later, Roberto a textile expert, joined their father in the company. After contributing to expanding business in the capacity of agents, traveling the country far and wide, in 1974 Mario and Roberto took up the reins of the company with the name of Fratelli Conforti. Those years were marked by a very strong demand for a fabric that would revolutionize the way people dress: jeans, and the brothers started importing hundreds of thousands of meters from South America, moving their headquarters from the church to a more modern and functional warehouse. In the 80s, Mario’s daughter Laura and Roberto’s sons Francesco and Giovanni started working in the company. Their fresh outlook and knowledge of languages enabled them to develop business on a global scale and expand the clientele to Northern Europe, the United States, South America, the vast market of Russia, the Ukraine, Poland and the Baltic countries. Since January 2012, Francesco, Giovanni and Laura are the new proprietors of the firm “Fratelli Conforti dal 1948” with new headquarters in Montemurlo at the gates of Prato. Every day, thousands of meters of fabrics enter and leave our big new warehouse with a surface area of 2350 m2. These dimensions make for ease of stocking, more exhibiting space and, thanks to the professionalism of our staff, our presence across the globe. Now in its third generation, Fratelli Conforti is moving fast and looks towards celebrating its 70 years of activity with optimism.